Wow... 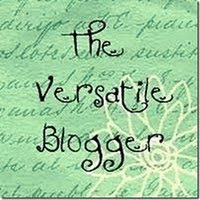 Thank you Donna for giving me my first blog award! See her wonderful projects and videos at Donna's Dreamworks. Congrats on your first Award Cheryl! I loved looking through all your fun creations on your blog! Thank you so much for sharing your award with me! Congrats Cheryl!! Thanks for the blog award!! Congrats and Thanks for passing it on to me – click here to view.